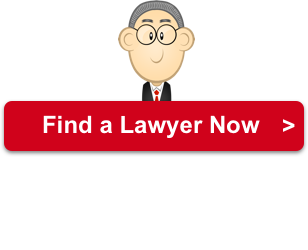 Why Are There So Many Personal Injury Attorney Billboards Along Highways in Florida? Don't get distracted by all those personal injury attorney billboards on Florida highways, or you just might find yourself needing one! Sunny Florida. Home to year-round sunshine, beautiful beaches along the Atlantic, and retirees looking to kick back and relax to enjoy the fruits of their labors. So if the Sunshine State is so laid back and relaxing, why are there so many personal injury attorney billboards plastered along the highways? I-95, in particular, really stands out with its seemingly constant congestion of traffic and more than its share of ads from lawyers. The 380+ miles of Interstate 95 that stretch across Florida are filled with traffic nearly all the time, and it looks like a good number of drivers just aren't paying attention. The National Highway Traffic Safety Administration shows that I-95 in Florida is the most dangerous highway in the United States, with 1.73 fatal auto accidents per mile. That's bad news for drivers, and big business for personal injury lawyers. 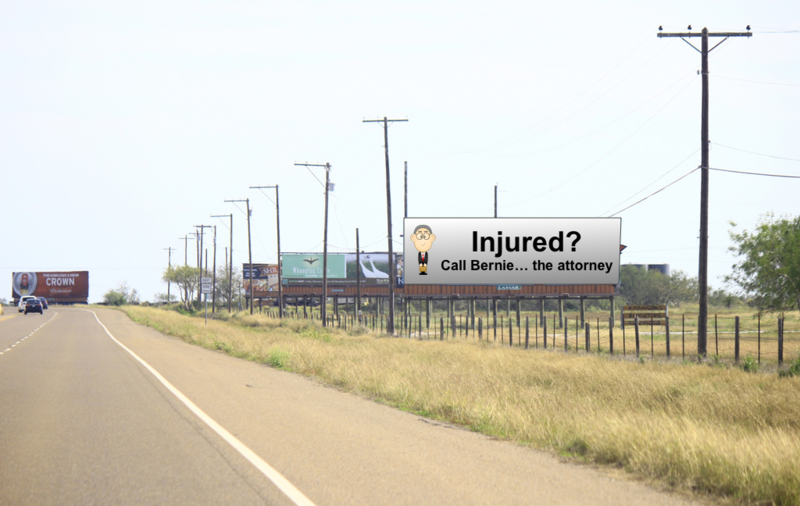 It's no “accident” that there are so many billboards focused on personal injury. So if you live in Miami-Dade County, are just passing through Florida, or hauling the kids to Disney World, chances are you will find yourself traveling along I-95 or some other congested highway. It's always good advice to keep your eyes on the road, but in Florida, you have to be extra cautious because of so many distracted drivers. Maybe it's because I-95 is such a boring drive….lots of flat, long, straight stretches of nothing. Hopefully, you won't ever need one of those serious looking attorneys up on those billboards, but if you do, here is what you need to know if you suffer a personal injury from a car accident in Florida. Just like all states, Florida has a statute of limitations regarding personal injury cases. Injured drivers looking to be compensated for their own injuries must file their claim within four years of the date of the car accident. Also just like in most states, personal injury laws are often difficult to decipher, so it's always a good idea to contact a personal injury attorney as quickly as possible after an accident. These often complicated laws and statutes require a lot of research and strategy to create a successful case. While the statute of limitations in Florida is four years, which seems like a long time, filing a lawsuit in a personal injury case from a car wreck can take more time than you may think. Doctors visits, tests, investigations, and a lot of planning are just some of the elements of a typical injury lawsuit. You may discover that you have personal injuries that weren't evident in the months or even years following the car accident, or your resulting injuries may worsen. In any case, where personal injury is involved, there are always unforeseen circumstances, so expect the unexpected and be prepared. It's rare, but under Florida law, if you do find that you have suffered undiscovered or worsening injuries, your attorney may be able to have the statutes of limitations extended. But don't count on it. Again, be prepared. This comparative negligence law means that the amount of compensation you are entitled to can be reduced by an amount directly related to your degree of fault. There is no real “formula” for determining who is at fault, or to what degree. Determinations like how much responsibility is attributed to a particular driver are often based on interpretations of the law, expert opinions, and other subjective factors. To put it plainly, consider this scenario: You're traveling down I-95, and another driver cuts across your lane to catch an off-ramp at an exit, and they sideswipe your car, sending you into the retaining wall. You both survive, thankfully, and you are hauled off to the hospital. Sounds pretty cut and dried, doesn't it? You were driving along, minding your own business, eyes on the road, and all that stuff. But once you get to court, it's determined that you were actually speeding about 10 mph over the limit. After some give and take, and some subjective calculations, the court says you are 20% at fault. If you are awarded $30,000 in compensation, the amount will be reduced by 20%, leaving you with $24,000 instead. More than anything else, the comparative negligence law should convince you that you need the very best personal injury attorney you can find. Of course, no personal injury lawsuit in a car accident would be complete without the insurance companies weighing in. In Florida, automobile accidents fall under a no-fault insurance system. This means that after many traffic accidents, the injured driver's own insurance company will compensate for certain expenses like medical costs, loss of income, etc. regardless of fault. Most minor car wrecks will fall under this automobile insurance clause. But this no-fault factor also means that you can't hold the other driver liable unless the accident resulted in “serious injury” to you. Under Florida personal injury law, serious injury is determined by many factors, including permanent injury, significant scarring or disfigurement, and permanent loss of a bodily function. The legal system must first determine if you meet the criteria for serious injury before you can even proceed with filing a lawsuit. So how does the court decide if your personal injuries are permanent or if they will get worse? 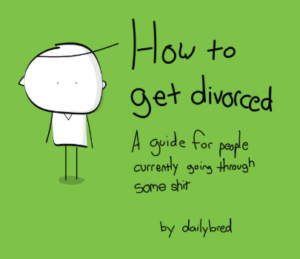 Just like with the rest of personal injury law, much of this determination will be subjective. An experienced personal injury lawyer can help you navigate the muddy waters of these laws and protect your interests. Florida personal injury laws set a limit on how much compensation can be awarded to an injured driver. These damage caps are determined by the types of losses, non-economic damages like pain and suffering, and other factors. Assigning a dollar amount to things like “pain and suffering” is, you guessed it, very subjective. How can you really measure pain, suffering, and other intangibles? In car accident lawsuits, these compensation caps impact “punitive damage” significantly. Punitive damages are meant to punish the offending driver for dangerous, irresponsible behaviors. Florida limits punitive damage compensation to three times the amount awarded for other losses and damages. These punitive damages are only granted in a small number of injury lawsuits, but in these limited number of cases, the damage caps can play a significant role in getting you the compensation you deserve. How Do Personal Injury Laws Work in Washington?